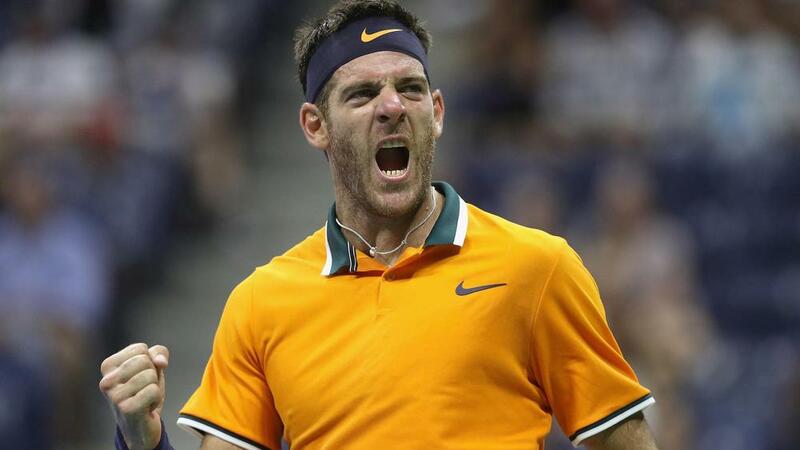 A confident Juan Martin del Potro believes he can get even better at the US Open after easing into the quarter-finals in New York. The Argentinian was untroubled by Borna Coric on Sunday, cruising to a 6-4 6-3 6-1 victory on Arthur Ashe Stadium. Del Potro, the 2009 champion at Flushing Meadows, said while he was confident, he still had steps to take. "I'm feeling OK. I think my confidence is in a high level. I know I could play even better tennis," he said. "So I am looking forward for that in the next round." Del Potro is yet to drop a set at the grand slam, setting up a last-eight meeting with John Isner. The world number three talked up the importance of being largely untroubled through the opening rounds. "I think to win in straight sets every match is important for the body, for the legs, for the physical conditions," Del Potro said. "But in the end every match is a new battle, and you must be 100 per cent for that moment. It doesn't matter if I win in three sets or five sets, in the next round will be a new match. "John has a very good shape to play that match. It will be a really tough one."